Sometimes a collection of photos inspire adjectives we don't throw around very often. This is one of those times. 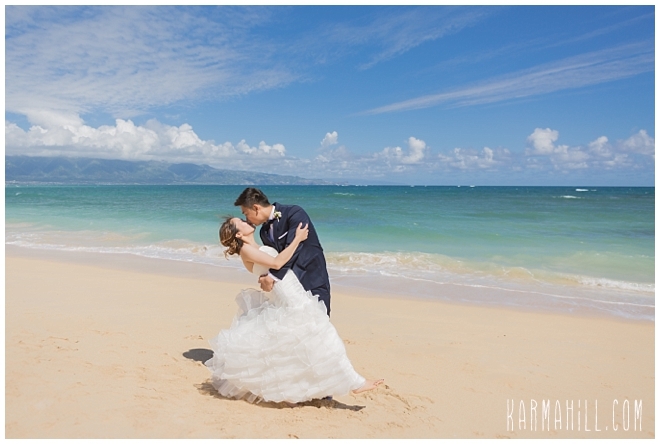 Zhuojing and Di's Maui Elopement at Baldwin Beach was glorious! The crisp colors, fantastic sky, clear water, majestic mountains. Oh wow, this morning had it all. 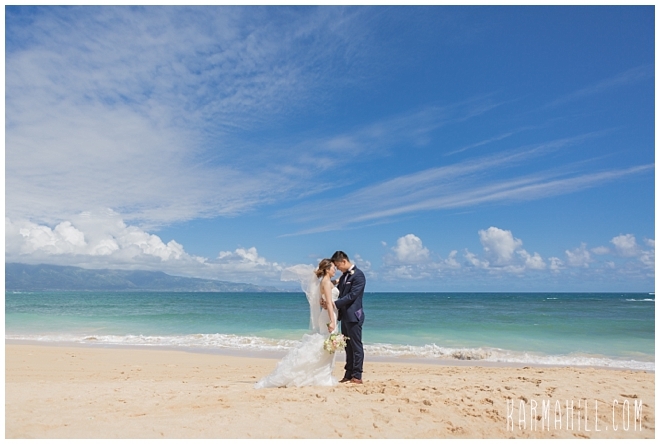 Especially because it had a stunning couple, dressed in their finest, making a lifelong memory in that amazing setting. 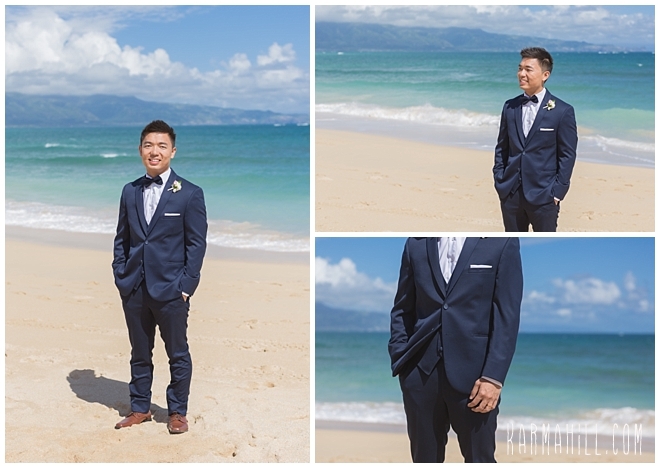 Originally from China, our new friends made the trip here from their home in Massachusetts in order to capture some of the natural beauty of the island has to offer. With this being their first trip to the Magic Isle, I think it's safe to say that they were not disappointed. 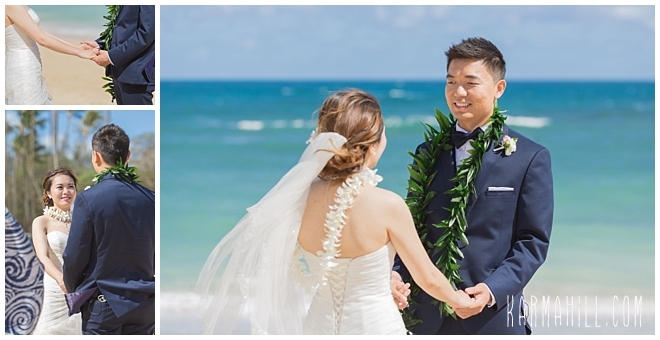 Zhuojing and Di, thank you so much for choosing Simple Maui Wedding to be a part of your day. 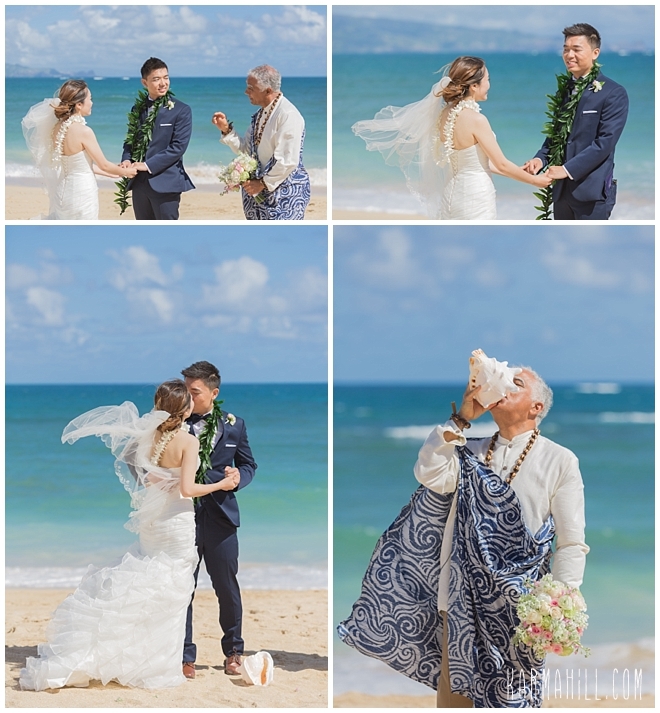 Best Wishes, Congratulations, & Warm Aloha!!! 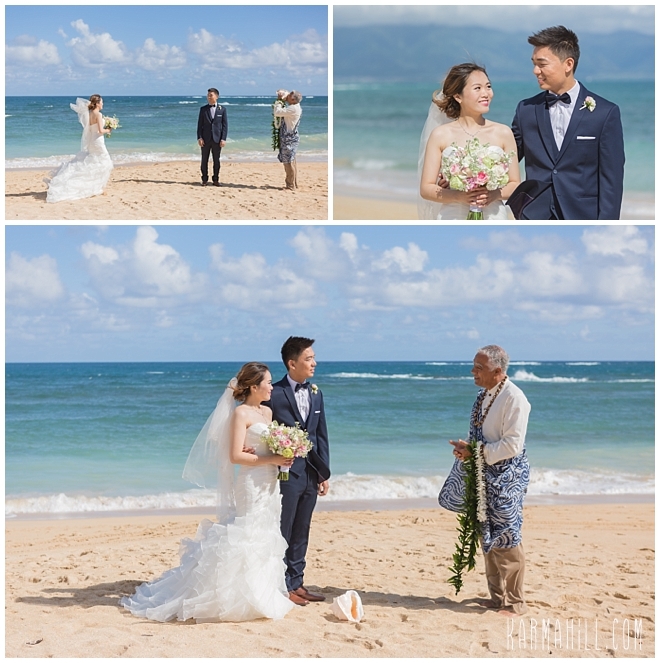 Check out Emily & Bruce's Maui Wedding!